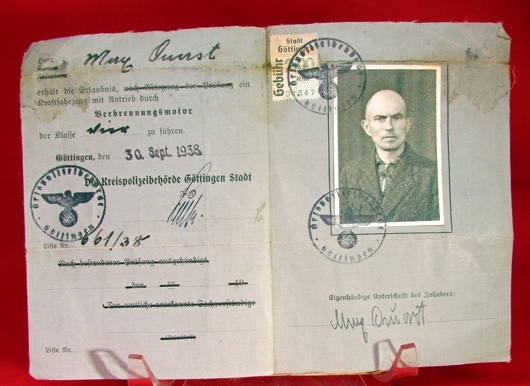 Item #48596 : Original era manufacture. 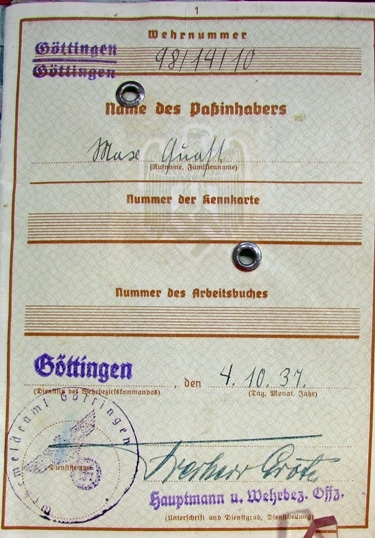 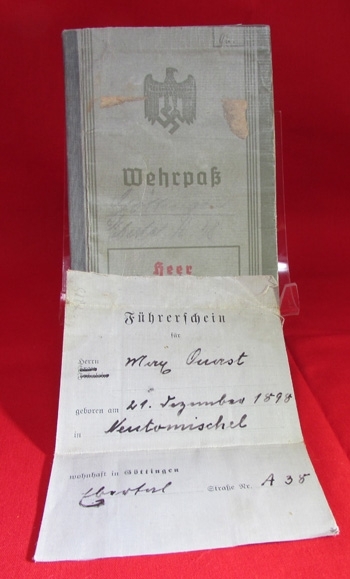 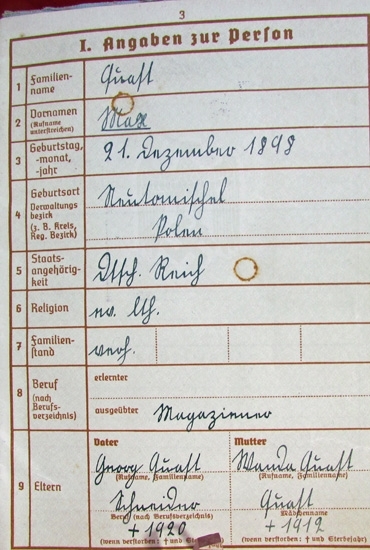 A clean condition Heer Wehrpass issued in 1937 to a Gottingen resident born 1898. 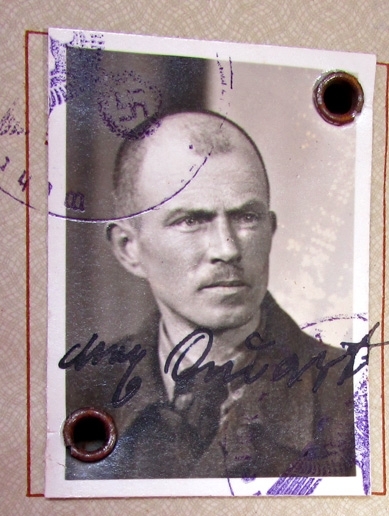 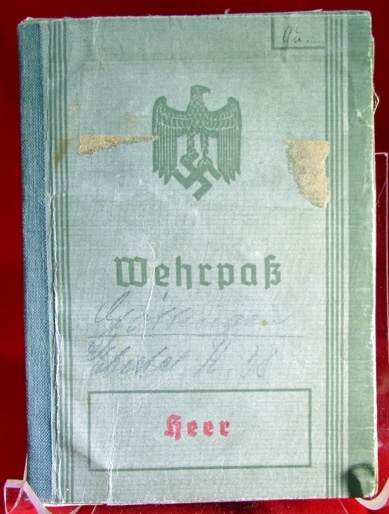 Photo in cover, served in WWI.In the front pocket is a Fuhrerschein issued in 1938.